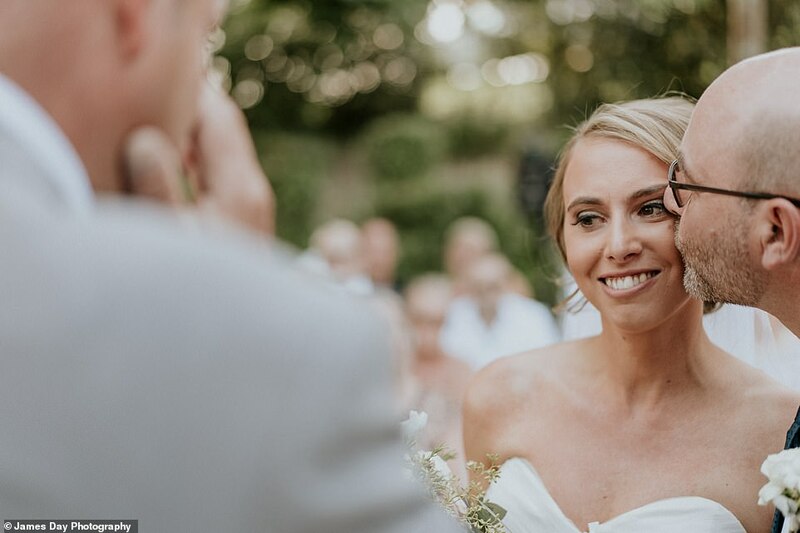 Australian bride Stephanie Agnew, 32, married the love of her life, Robbie Campbell, in a ceremony that looked similar to hundreds of others across the country on Sunday – until you took a look at the assembled guests. 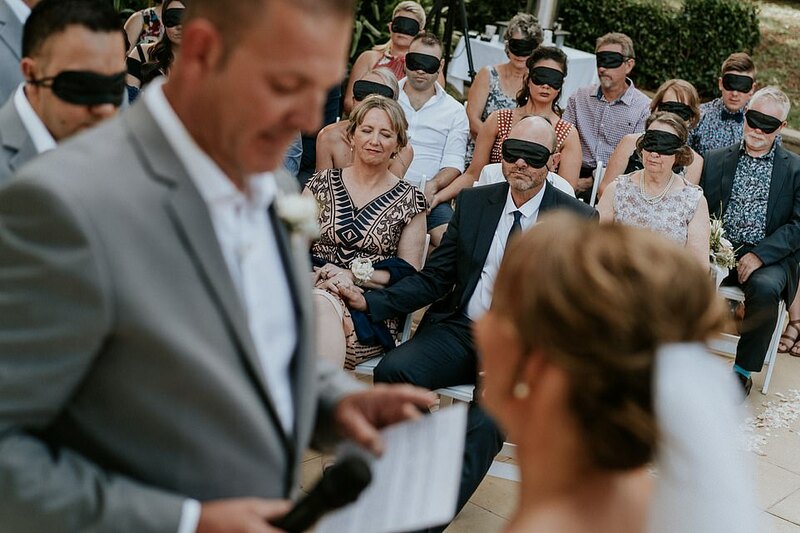 Instead of watching the ceremony in Maleny, Queensland, unfold, the 54 guests were asked to wear blindfolds so they could experience each moment just like the bride – without sight. 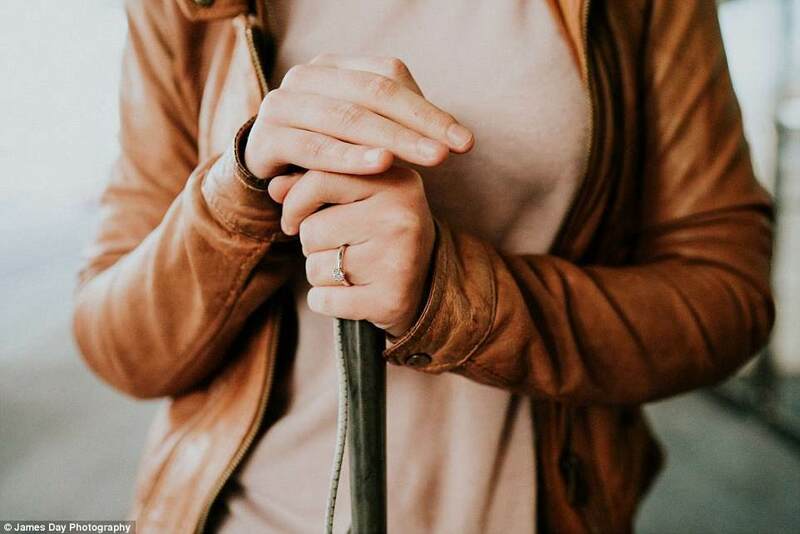 Ms Agnew and her mother both have Cone-Rod Dystrophy – the condition leaving Ms Agnew only able to see some light and dark shapes and her mother completely blind. ‘The staff were amazing and spent a lot of time with Steph describing the visual features of the whole venue. They were instrumental during the day by helping her feel the tactile elements that were a part of the ceremony and reception,’ Mr Campbell told FEMAIL. 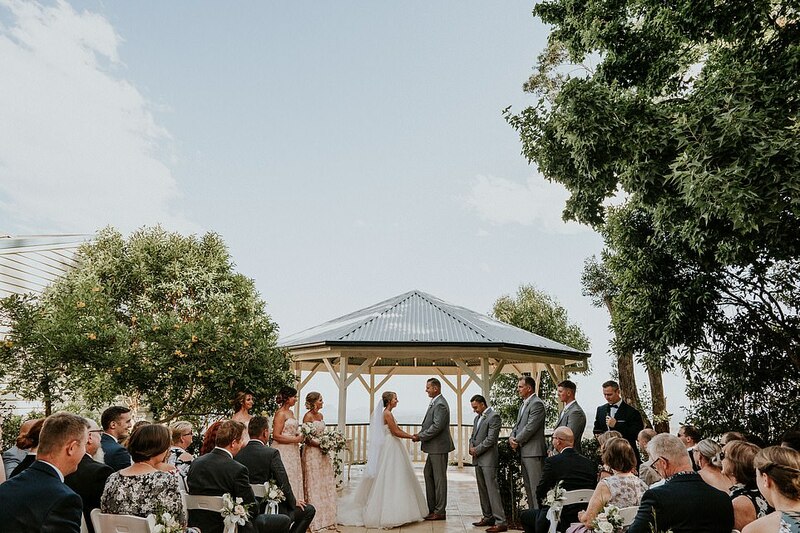 Each part of the ceremony was carefully thought out, with Ms Agnew’s bouquet made up of fragrant flowers that staff took the time to describe to her thoroughly. They also had an owl from Raptor Vision fly down the aisle, land on Ms Agnew’s arm and deliver the rings and all guests wore blindfolds during the vows. 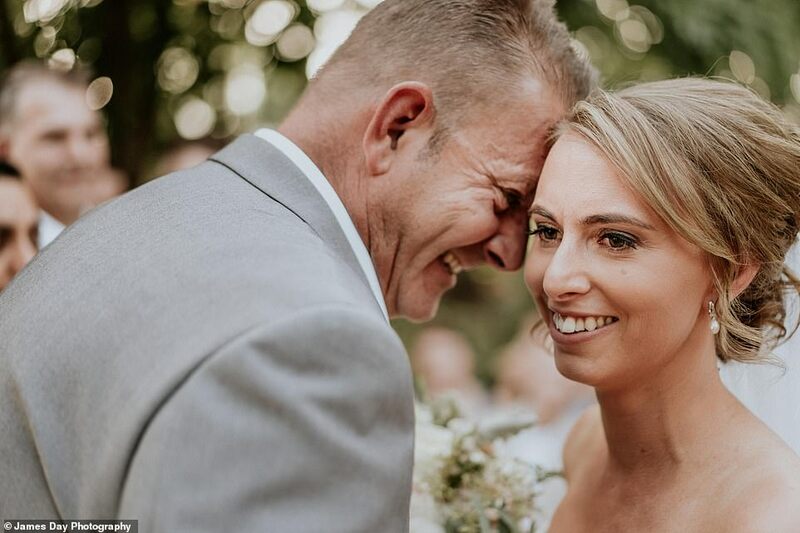 ‘The blindfolds were received well by the guests as they were experiencing that moment in the same way Steph and her mum, who is also blind, were experiencing it,’ Mr Campbell said. 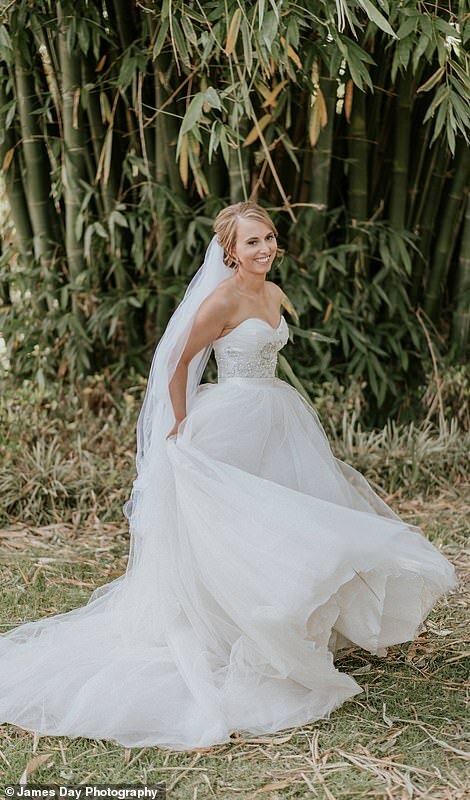 The couple’s photographer, James Day, added to the tactile element by giving Steph different pieces of fabric infused with different essential oils so that she could be reminded of different parts of the day in the future. ‘It is a moment I will never forget,’ Mr Day said of the wedding. 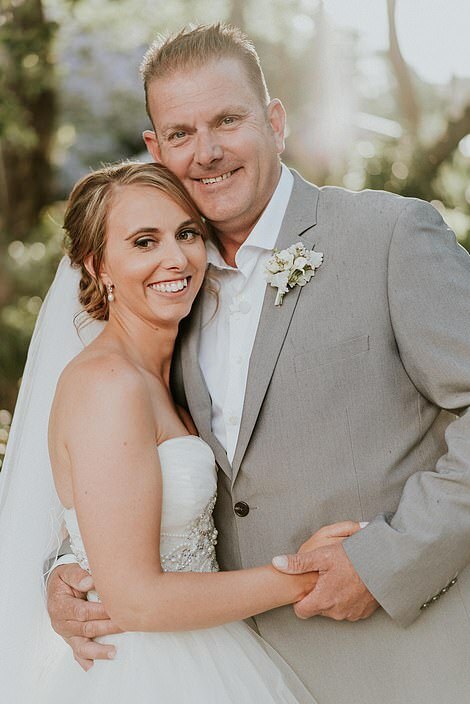 Ms Agnew said she felt absolutely beautiful and the moment she walked down the aisle in her breathtaking dress, Mr Campbell couldn’t hold back his emotions. 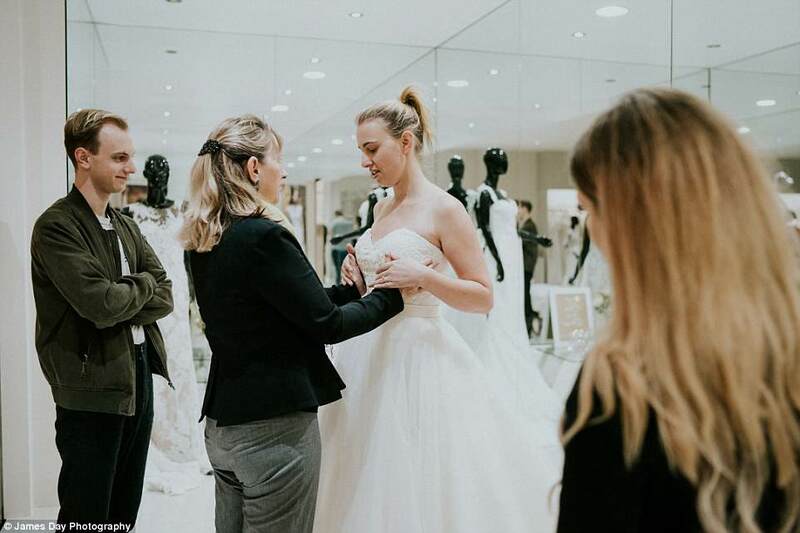 ‘I couldn’t control my emotions as she walked down the aisle – she looked like a true princess bride in the dress,’ Mr Campbell said. 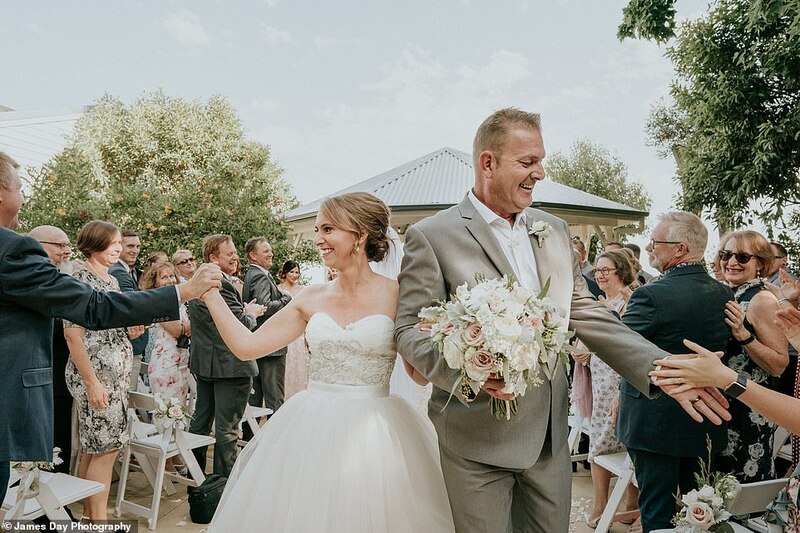 The celebrant, Jarrad Bayliss, also made sure the ceremony was special and memorable with his unique and personal touches. 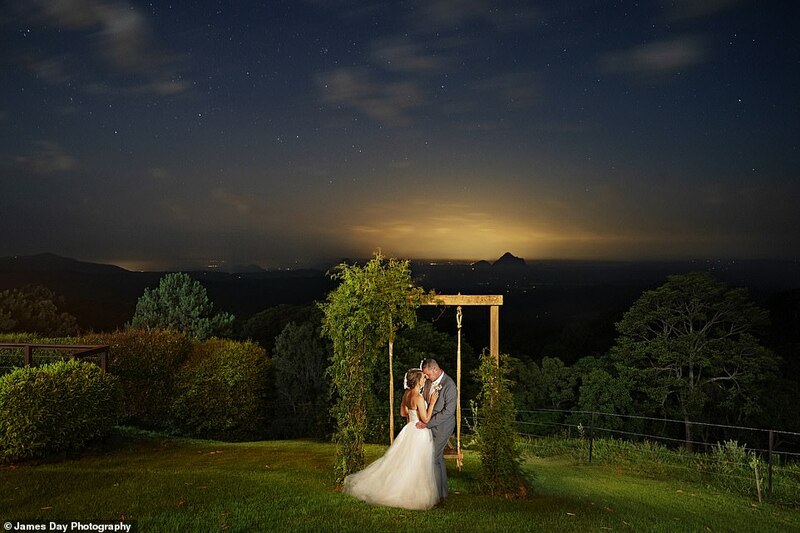 He knew how important the day was and went above and beyond to ensure the ceremony was more than just ‘visual’. The condition characteristically leads to early impairment of vision. An initial loss of color vision and of visual acuity (due to loss of cone function) is followed by nyctalopia (night blindness) and loss of peripheral visual fields (due to loss of rod function). There are, currently, no proven or effective cures for cone-rod dystrophies. ‘All of our vendors put in special efforts to make sure that Steph could appreciate all of the sensory elements that made the day especially the videographer, Lemon Tree Film House, who is putting together a film with extra audio descriptions from the day so Steph can experience it audibly instead of visually,’ Mr Campbell said. Ms Agnew met Mr Campbell in October, 2016, after living next door to him for 18 months. ‘We had been living 1.5 metres apart but because I was in real estate and he was a policeman we never really crossed paths,’ Ms Agnew told FEMAIL. 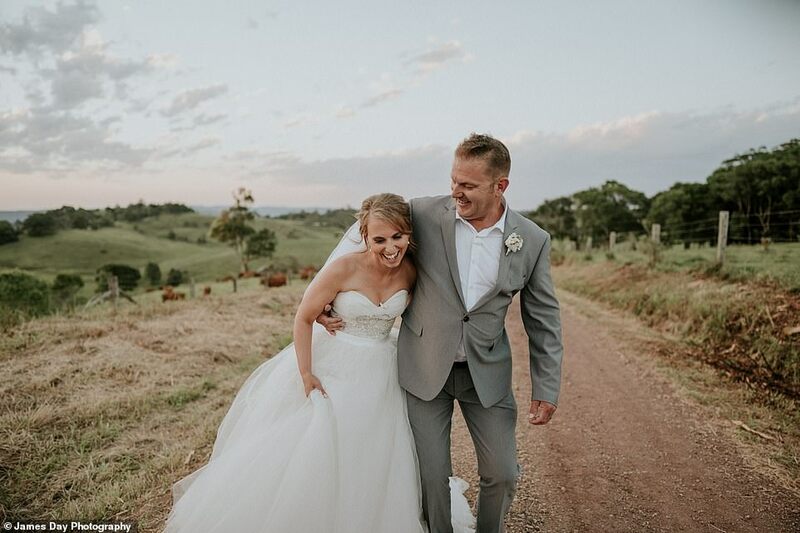 ‘We met that October at a drinks function our building was hosting and we didn’t really get off on the right foot – he was almost too much – but then he wooed me and a month later we went on a date and it was fantastic. Just over a year later on Christmas Day, 2017, Mr Campbell proposed. 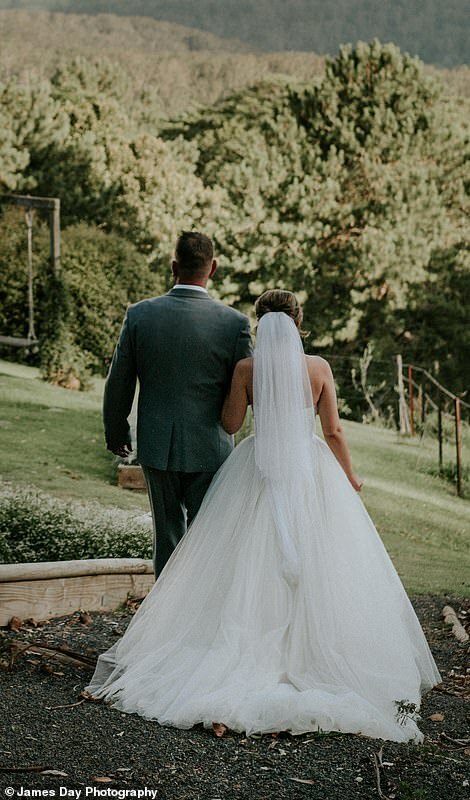 ‘We had spoken about marriage and I said if he ever proposed I would want my family there or involved somehow,’ Ms Agnew said. ‘We were all there and I felt the box and he had given me an Apple TV but apparently my face dropped because it wasn’t a ring box but then he surprised me and got down on one knee and did a little speech. 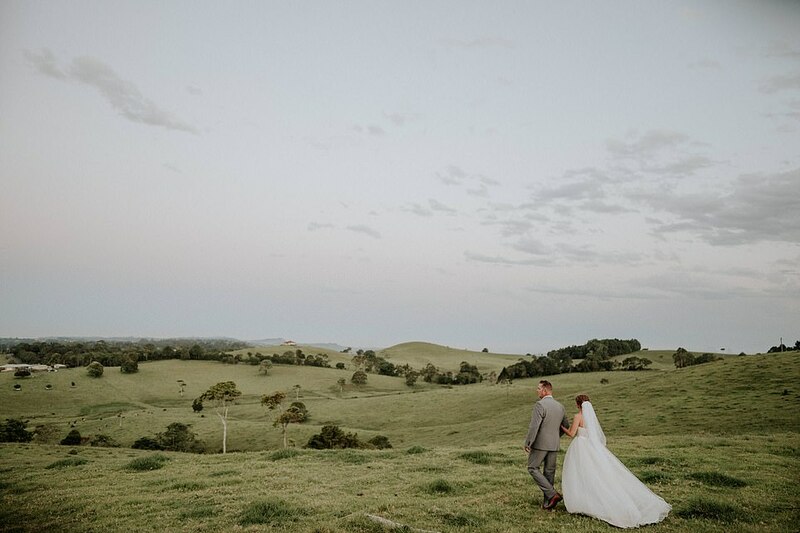 Photographer James Day, a long-term friend of Ms Agnew, joined the couple on their romantic journey on day one and was asked to capture the moment she selected her dream wedding dress back in April. 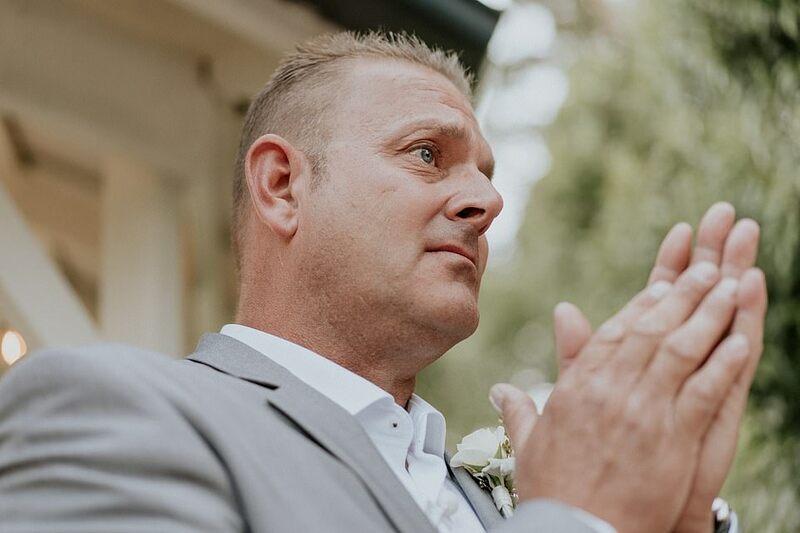 Ms Agnew asked him to capture every moment of the wedding process in the hope that one day she may be able to relive these moments if medicine progresses and they are able to restore her eye sight. ‘My mum was diagnosed with Cone-Rod Dystrophy when I was 18. At first they thought she had a brain tumour but it was this retinal dystrophy that leads to blindness,’ Ms Agnew told FEMAIL at the time. ‘They thought it was a new gene mutation as we had no family history but I was diagnosed a year later when I was 19 and now three out of four of us [my siblings and I] have been diagnosed. 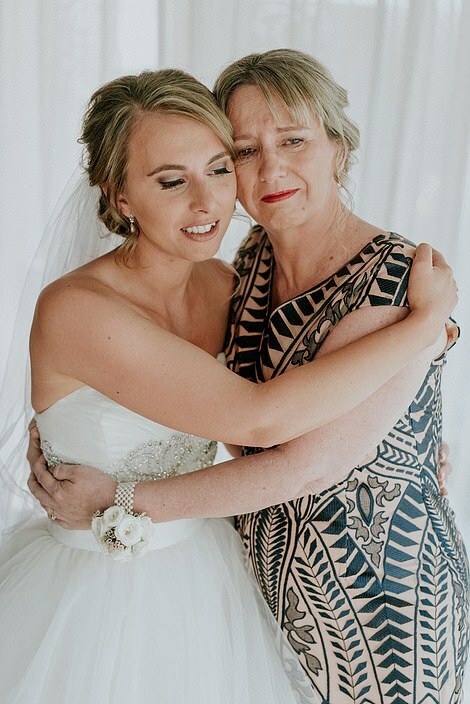 Ms Agnew, who stayed in real estate for 11 years despite her condition, said she has ‘completely accepted’ her vision loss and has been thankful to have her mum by her side as a role model. ‘If they don’t find a cure I’ll be okay. I’d love them to, I really would, but I’ll be okay,’ she said. Ms Agnew hopes that by sharing her experience she can inspire and help others who are losing or who have lost their sight. 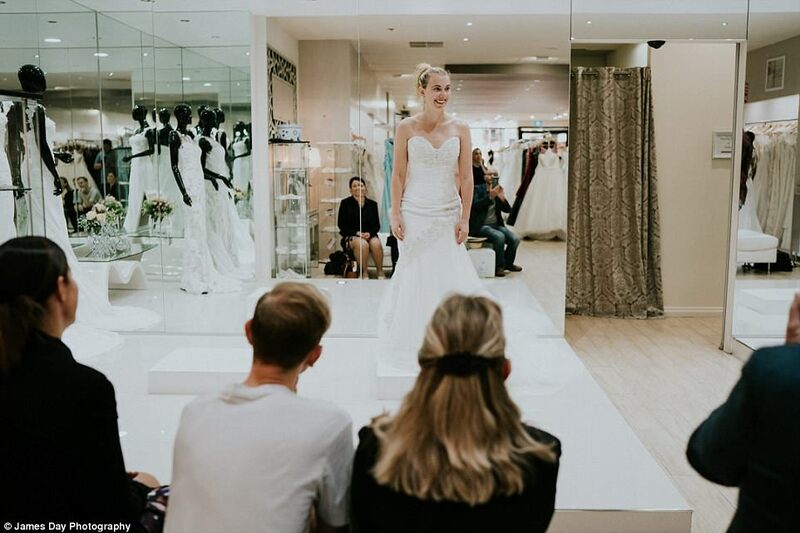 ‘I was really unsure about the whole bridal process to the point where I wanted to just go to the registry because I didn’t think I could deal with it. But it’s been such an enjoyable process. James Day shares his work on his website and Facebook page.